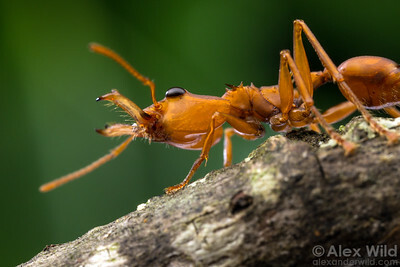 is among the world's most visually striking insects. 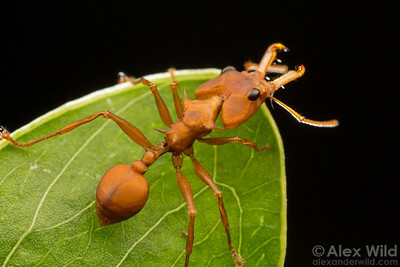 Colonies of this beautiful trap-jaw ant are found in rainforest canopies of northern South America. Portrait of an arboreal trap-jaw ant. 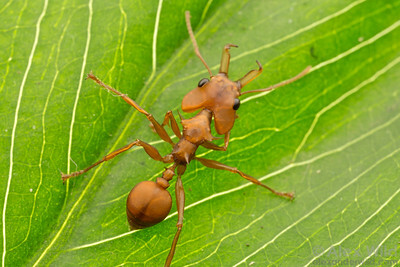 French Guiana; laboratory colony at the University of Illinois at Urbana-Champaign, USA. 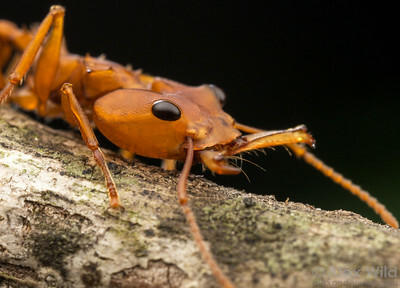 A trap-jaw ant walks with an array of sensory hairs pointed forward from her jaws. French Guiana; laboratory colony at The University of Illinois at Urbana-Champaign, USA. 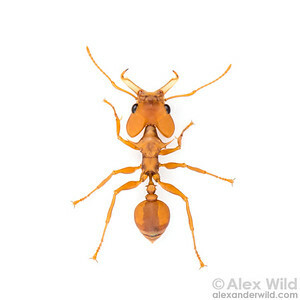 Portrait of one of the world's most recognizable ants, the Amazonian trap-jaw Daceton armigerum. French Guiana; Laboratory colony at The University of Illinois at Urbana-Champaign, USA. 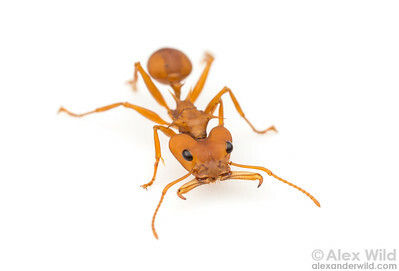 French Guiana; Laboratory colony at The University of Illinois at Urbana-Champaign, USA. 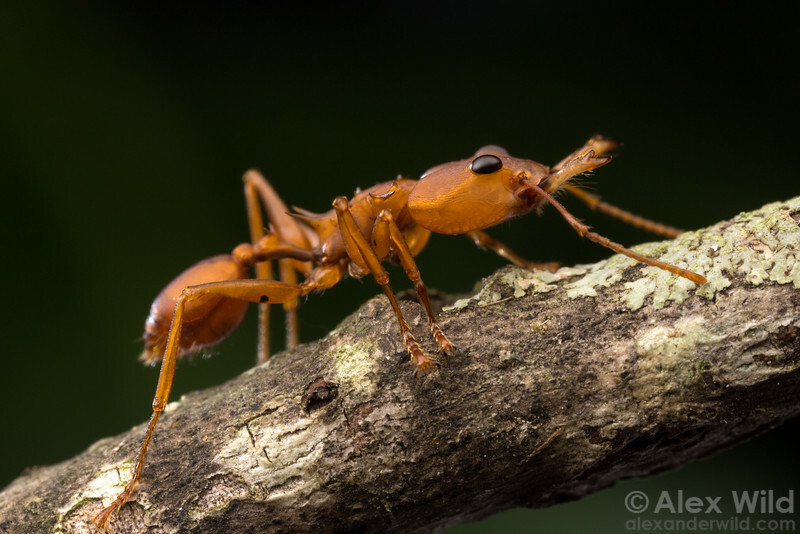 Sensitive trigger hairs point forward from the mandibles of this arboreal trap-jaw ant. French Guiana; Laboratory colony at The University of Illinois at Urbana, Champaign, USA.